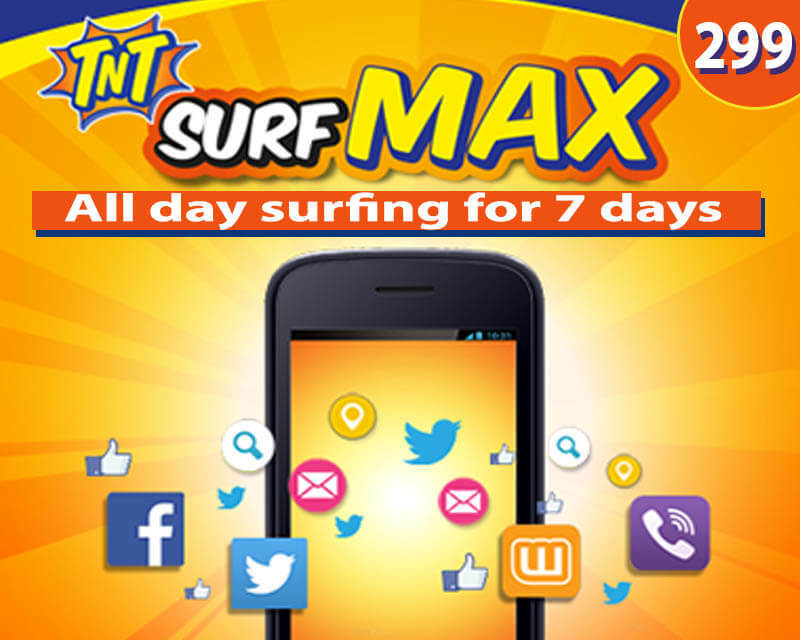 If you want to be updated with your friends and love ones online, try the TNT Surfmax 299 internet promo. For only 299 pesos, you can enjoy internet surfing and access your favorite websites, social media applications and other online activities up to 1 week. 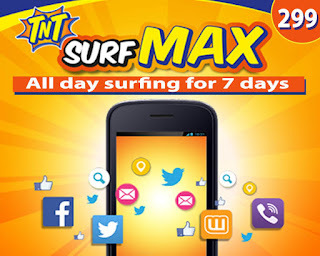 No need for you to register a daily internet promo when you subscribe to Talk N Text Surfmax299 data package. With the one-time registration to this offer, you can save 50 pesos than the daily subscription to Surfmax 50. We all know that the previous TNT Unlisurf is our most requested promo, but with the effectivity of FUP (Fair Use Policy), the data capped or limit for Surfmax is now 800MB. After you fully consume the daily data allocation, you can still browse to the internet at slower speed and will refresh at 12 midnight. That is the sad part with our telco data offers today. You can subscribe by texting the SMS keyword, online and via your TNT load retailer. You need Php299.00 regular load on your account to avail this promo. Just text SURFMAX299 then send to 4545. See updated TNT Internet Promo for more data packages. Make sure you have good signal reception with 3G/4G/LTE network availability in your area to enjoy faster internet connection speed.